Sturdy and Elegant. The solid aluminum die cast metal is a sturdy and durable material. It withstands its load capacity of 44lbs with an insatiable endurance. 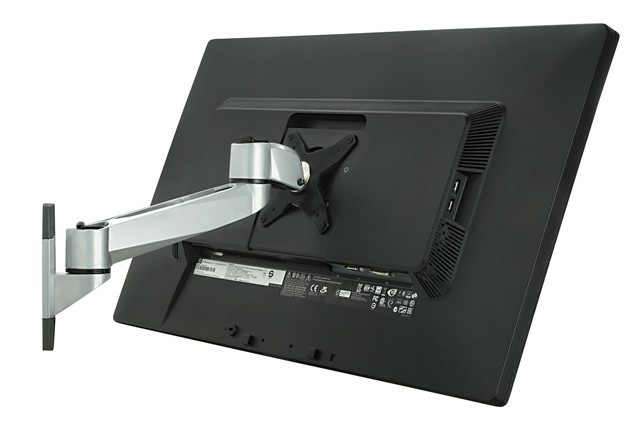 This wall monitor stand was built to be as slim as possible for minimal hardware visibility. The modern and sleek color scheme will integrate easily into your contemporary home.